For Primary Headteachers, English Subject Leaders and Primary Teachers. This conference will focus on the processes that need to be initiated, developed and maintained if you are to raise achievement in your school using the Talk for Writing approach. 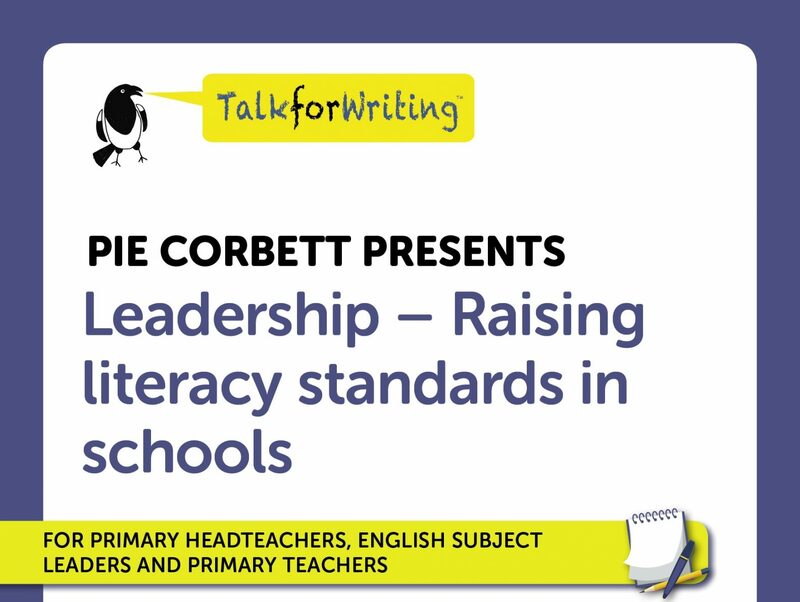 All the material for the conference has been refined through discussion with successful Headteachers and leading literacy teachers of schools who have used the approach to significantly raise attainment across all subjects in their schools. The conference will focus especially on what makes a difference for schools that serve more challenging areas. Whilst we will be focusing on key strategies used in Talk for Writing, these are reflected in the National Curriculum programmes of study. Price per delegate for all conferences £215.00 +VAT.